The new Line 5000 range has been shaped with contributions from users and experts in the professional laundry field all over the world, whose insights and know-how helped drive improvements in product mechanics, ergonomics and design. Special attention has been given to the particular challenges faced by professionals: regions with extreme climates, high temperatures or humidity; locations with unstable power supplies; and even areas affected by rodent populations. Line 5000’s washer extractors and tumble dryers all combine technology with green thinking and cost reducing features. They exemplify Electrolux Professional’s commitment to continued sustainability and are made to be 95% recyclable. Energy-efficient, their durable, robust construction and high technology manufacturing are built to respect the environment at every point of production and usage. Line 5000 offers real benefits and improvements in three crucial areas for professional clients: durability, enhanced economy, and flexibility. Line 5000 washers and dryers are built to last longer. Their heavy-duty components need less maintenance and are optimized for all kinds of operations and environments. Line 5000’s unique, new efficiency means using less water and energy for wash and dry cycles. But while Line 5000 helps lower operational costs and cut the environmental footprint, it has not compromised on quality. 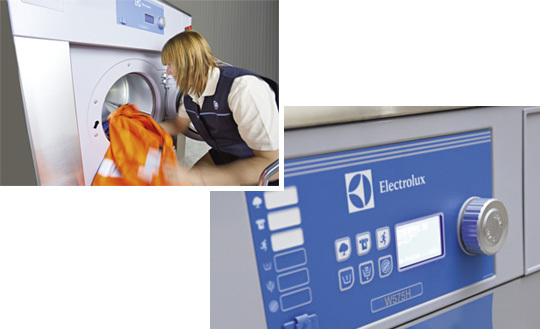 Ergonomics, performance, safety and labour effectiveness are key factors in Electrolux designs. Line 5000’s user-friendly new Compass Pro® interfaces are intuitive, intelligent as well as easy to use, and available in 18 languages. The Compass Pro® interface also features a USB port to facilitate installation of the latest software updates. Line 5000’s detailed, well thought-out features and unique extras like Power Balance, Automatic Saving System, Triangle Technology and Braille buttons and voice guidance create the added value that makes your business a success. Another benefit to save users time and reduce strain is on offer with the Evolution Barrier Washer Range. Built to maximise ergonomics, performance, safety and labour effectiveness, the Evolution range represents a new era of hygiene with guaranteed linen safety and ultimate control of laundry management. 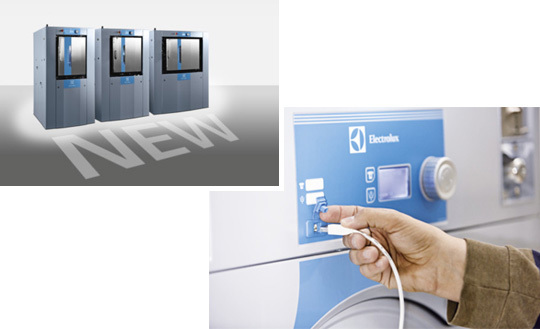 A reliable, global presence: Electrolux Professional offers the most extensive service network of skilled, authorised partners for daily tasks: installation, spare parts and maintenance. All provide efficient customer service and fast technical assistance. A global service network is available for prompt, expert advice worldwide.